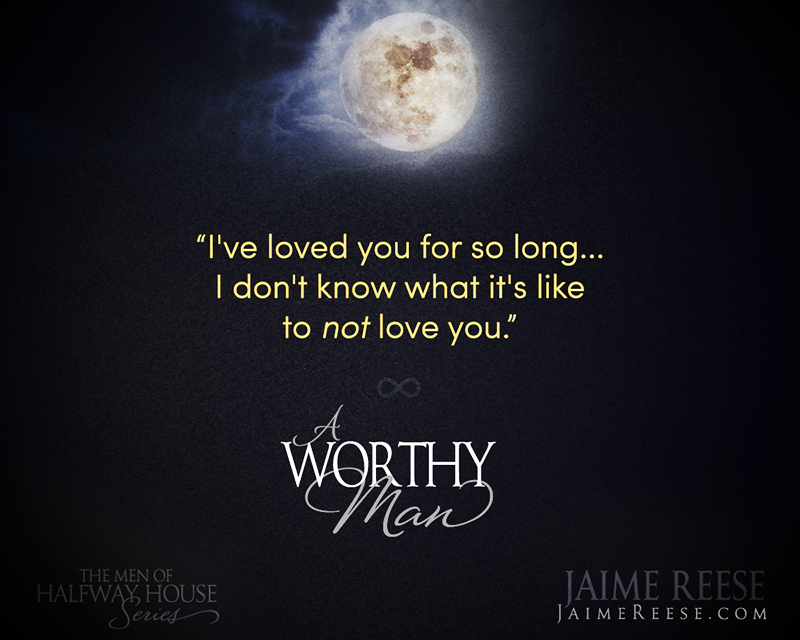 Today I’m so thrilled to share my review of A Worthy Man by Jaime Reese! This is a wonderful, emotional, hope-filled story that I just completely adored! I hope you’ll check out my review as well as the excerpt and there’s a fantastic giveaway too! A story of two men and the boundless love that forever changed them. Vannguard Shaw has spent the last ten years serving a life sentence and adjusting to the ache of solitude. He accepts his fate, a sacrifice for the only man he ever loved and the one person who saw beyond his rough edges. Drayton grew up with a trust fund and pre-planned future, but an unexpected encounter one night forces him to abandon everything and start from scratch. He is now a self-made man and developer of one of the most sought after electric exotic automobiles in the world with a fortune greater than that of his birthright. Yet, he’d surrender it all—again—for the only man who’s still ever-present in his heart. After a decade and entirely too much distance between them, Vann is suddenly released back into a world that has been nothing but cruel. Drayton never lost hope they would once again reunite and pick up where they left off, but Vann’s stubborn nature and repeated encounters with a heartbreaking world prove to be a challenge. Vann needs to tap into his fighting spirit’s reservoir of strength and hope life doesn’t punish him for taking a chance. Only then will he realize his own value and feel worthy enough to finally have Drayton’s heart. And their chance at forever. 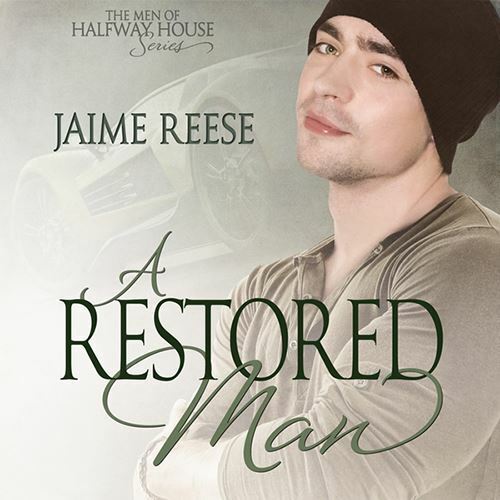 I have really enjoyed The Men of the Halfway House series and this book just blew me away. I love a second-chance story and these books have all definitely been about second chances, but for Dray and Vann their second chance is a bit different, and I loved it. This story is low on angst but big on emotion and love and hope! Dray and Vann met when they were teens and had an immediate connection. Neither of them really fit in, but they fit together. Dray was the rich, smart kid but really couldn’t read people. Vann is the tough, poor kid with a rough upbringing. They shouldn’t be friends but they are best friends and it becomes more, both knowing they’ve found their true loves. But tragedy strikes and Vann ends up in prison, serving what is supposed to be a life sentence. He doesn’t want Dray to see him like that but each week Dray writes to Vann, telling him about himself and sharing their memories. Dray isn’t about to give up on Vann and eventually he works for his release and ten years later Vann is out of prison, and hopefully back in Dray’s life. For me, this was a story about hope; hope for love, for rebuilding their lives together and hope for the future. Vann struggles with his worth in life and man was it a powerful journey with him as he discovers who he is and how valuable he is. He’s always loved Dray but hasn’t always felt worthy of that love. I loved that Dray never lets him doubt that for a minute. And on the other side, Dray has his own insecurities that Vann so easily and naturally helps him overcome. These two are just amazing together, bringing out the best in each other. Even though this story is low on the angst it still carries so much emotion. Both Dray and Vann have been through so much, but these are two are so truly committed to each other it’s about working it out together. This is a book that will absolutely capture your heart and make you just fall in love! I think this story is a fantastic addition to this series and cannot wait for more! A definite must read! “Fine,” Vann grumbled, finally sitting up on the bed with a dramatic pout. Drayton leaned in and gave Vann a chaste kiss, jerking back quickly to avoid his grasp. Vann’s laughter filled the room. “Damn. You’re still super-fast.” He reluctantly stood and stretched his arms over his head. Drayton’s lips parted, enjoying the flex of muscles. He chuckled as they exited the office. They walked down the hall to the room he’d had converted into a gym. “Damn, this is nice.” Vann checked the different weight options and looked at each of the machines. Vann chuckled. “Okay.” He walked over to Drayton and leaned in for a slow kiss. Jaime Reese is the alter ego of an artist who loves the creative process of writing, just not about herself. Fiction is far more interesting. She has a weakness for broken, misunderstood heroes and feels everyone deserves a chance at love and life. An avid fan of a happy ending, she believes those endings acquired with a little difficulty are more cherished.